McLeod, R, Sumartojo, S, Anderson, C, Sutila, N and Hogan, S (2019) The Exchange at Knowledge Market: An Urban Living Lab. Melbourne: Melbourne Books. ISBN 978-1-9255-5646-9. In press. Sumartojo, S ‘Lieux de mémoire through the senses: memory, state-sponsored history and sensory experience.’ In de Nardi, S, Orange, H, Koskinen-Koivisto, E, and High, S (eds) Routledge Handbook of Memory and Place. London: Routledge. Sumartojo, S and Pink, S (2018) Atmospheres and the Experiential World: Theory and Methods. London: Routledge. ISBN 978-1-138-24113-8. 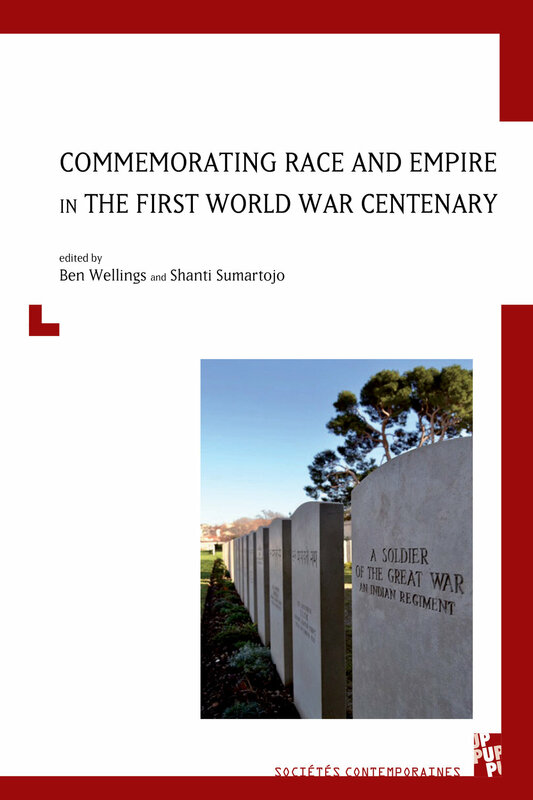 Wellings, B and Sumartojo, S (eds) (2018) Commemorating Race and Empire in the Great War Centenary. Liverpool/Marseille: Liverpool University Press/Presses Universitaires de Provence. ISBN 978-1-786-94088-9. 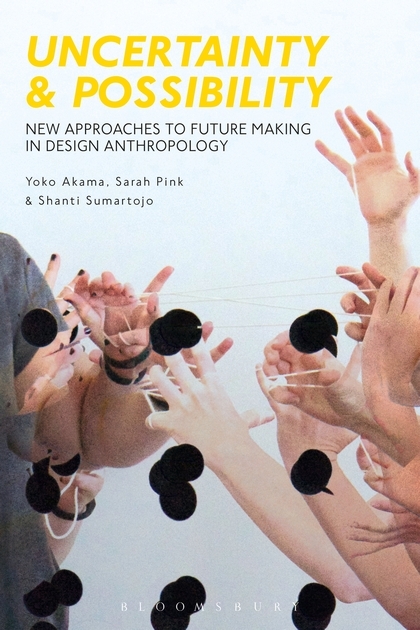 Akama, Y, Pink, S and Sumartojo, S (2018) Uncertainty and Possibility: New Approaches to Future-Making in Design Anthropology. London: Bloomsbury. ISBN 978-1-350-00271-5. Gómez Cruz, E, Sumartojo, S and Pink, S (eds) (2017) Refiguring Techniques in Digital-Visual Research. London: Palgrave Pivot. ISBN 978-3-319-61222-5. 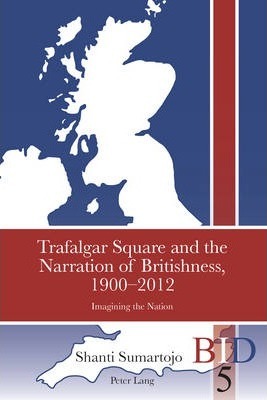 Sumartojo, S (2013) Trafalgar Square and the Narration of Britishness, 1900-2012: Imagining the Nation. Bern: Peter Lang. ISBN 978-3-0343-0814-4012. Pink, S, Lacey, J, Harvey, L, Sumartojo, S, Duque, M, and Moore, S (2019) ‘Recycling Traffic Noise: Transforming Sonic Automobilities for Revalue and Wellbeing’ Mobilities. DOI: 10.1080/17450101.2018.1548882. Sumartojo, S and Graves, M ‘Feeling through the screen: Memory sites, affective entanglements and digital materialities’, Social and Cultural Geography. DOI: 10.1080/14649365.2018.1563711. Sumartojo, S (2019) ‘Sensory impact: Memory, affect and photo-elicitation at official memory sites.’ In Drozdzewski, D and Birdsall, C (eds) Doing Memory Research: New Methods and Approaches. London: Routledge. Vaughan, L, Pink, S and Sumartojo, S (2018) ‘Developing a Design Brief within 'Models of Care': The Bendigo Hospital Psychiatric Unit Redevelopment Project’ in Vaughan, L (ed) Designing Cultures of Care. London: Bloomsbury. ISBN 978-135-00-5538-4. Stevens, Q and Sumartojo, S (2018) Shaping Seoul’s memories: the co-evolution of memorials, national identity, democracy and urban space in South Korea’s capital city. Journal of Urban Design. DOI: 10.1080/13574809.2018.1525288. Sumartojo, S (2018) ‘Memorials and State Sponsored History’ in Bevernage, B and Wouters, N (eds) Palgrave Handbook of State Sponsored History after 1945. London: Palgrave. 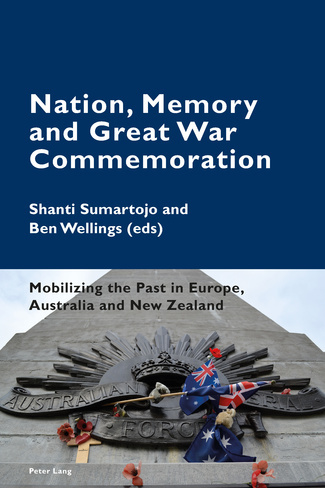 Wellings, B and Sumartojo, S (2018) ‘Anzac, Race and Empire: Memorialising Warriors and Soldiers in Australia’ in Sumartojo, S and Wellings, B (eds) Commemorating Race and Empire in the Great War Centenary. Liverpool/Marseille: Liverpool University Press/Presses Universitaires de Provence. Wellings, B, Graves, M and Sumartojo, S (2018) ‘Commemorating Race and Empire during the First World War Centenary’ in Sumartojo, S and Wellings, B (eds) Commemorating Race and Empire in the First World War Centenary. Liverpool/Marseille: Liverpool University Press/Presses Universitaires de Provence. ISBN: 9781786940889. Gómez Cruz, E and Sumartojo, S (2018) ‘Mobile screens and the public event: Practices of screen use at the Anzac Day Dawn Service’, Continuum. DOI: 10.1080/10304312.2017.1422112. Sumartojo, S (2017) 'Making sense of everyday nationhood' in M Skey and Antonisch (eds) Everyday Nationhood: Theorising Culture, Identity and Belonging Two Decades after the Publication of Banal Nationalism. London: Palgrave. Sumartojo, S (2017) ‘Local complications: Anzac commemoration at Melbourne’s Shrine of Remembrance’ in Wallis, J and Harvey, D (eds) Commemorative Spaces of the First World War: Historical Geographies at the Centenary. London: Routledge. Sumartojo, S (2017) ‘Tweeting from the past: commemorating the Anzac Centenary @ABCNews1915’, Memory Studies. DOI: 10.1177/1750698017709873. Closs Stephens, A; Hughes, S; Schofield, V; Sumartojo, S (2017) ‘Atmospheric memories: sensing dispersed political affects at the ten-year anniversary of the London bombings’. Emotion, Space and Society 23: 44-51. Sumartojo, S, Lacey, J and Hillary, F (2017) ‘contain yourself: technology, the city and atmospheric intervention’. Media International Australia. DOI: 10.1177/1329878X17726888. Sumartojo, S, Pink, S, Spong, L and Vaughan, L (2017) ‘Feeling better: sensory rooms in an inpatient psychiatric unit’. ARCH17 3rd International Conference on Architecture, Research, Care, Health. Polyteknisk forlag. ISBN: 978-87-93585-00-3. http://www.arch17.aau.dk/Proceedings+publication/. Sumartojo, S and Pink, S (2017) ‘Moving through the Lit World: The emergent experience of urban paths’, space and culture. DOI: 10.1177/1206331217741079. Pink, S and Sumartojo, S (2017) ‘The Lit World: living with everyday urban automation’. Social and Cultural Geography. DOI: 10.1080/14649365.2017.1312698. Sumartojo, S and Pink, S. (2017) 'Empathetic visuality: GoPros and the video trace' in Gómez Cruz, E, Sumartojo, S and Pink, S (eds) Refiguring Techniques in Digital-Visual Research. London: Palgrave Pivot. Sumartojo, S, Dyer, A, Garcia, J and Gomez-Cruz, E. (2017) 'Ethnography through the digital eye: what do we see when we look?' in Gómez Cruz, E, Sumartojo, S and Pink, S (eds) Refiguring Techniques in Digital-Visual Research. London: Palgrave Pivot. Pink, S, Sumartojo, S, Lupton, D and Heyes LaBond C (2017) ‘Mundane Data: the routines, contingencies and accomplishments of digital living’. Big Data and Society. DOI: 10.1177/2053951717700924. Pink, S, Sumartojo, S, Lupton, D and Heyes LaBond C (2017) ‘Empathetic technologies: Digital materiality and video ethnography’, Visual Studies 32(4): 371-381, DOI: 10.1080/1472586X.2017.1396192. Lupton, D, Pink, S, Heyes Labond, C and Sumartojo, S (2017) ‘Digital Traces in Context: Personal Data Contexts, Data Sense and Self-Tracking Cycling’, International Journal of Communication 11: 647-665. Duff, C and Sumartojo, S (2017) 'Assemblages of Creativity: Material Practices in the Creative Economy', Organization. DOI: 10.1177/1350508416687765. Sumartojo, S, Pink, S, Lupton D and Heyes LaBond, C ‘The affective intensities of datafied space’, Emotion, Space and Society 21: 33-40. Sumartojo, S (2016) ‘Commemorative atmospheres: memorial sites, collective events and the experience of national identity’. Transactions of the Institute of British Geographers. Online first at http://onlinelibrary.wiley.com/doi/10.1111/tran.12144/full. Sumartojo, S and Stevens, Q (2016) 'Anzac Atmospheres' in Drozdzewski, D, de Nardi, S and Waterton, E (eds) Memory, Place and Identity: Commemoration and Remembrance of War and Conflict. London: Routledge, 189-204. ISBN 978-1-13-892321-8. Edensor, T and Sumartojo, S (2105) ‘Introduction: Designing Atmospheres’ Visual Communication 14(2): 251-266. Barns, S and Sumartojo, S (2015) ‘When one idea led to another: Re-inscribing and recombining thinking spaces using night-time projections at the Australian National University’, The Senses and Society 10(2): 1-21. DOI: 10.1080/17458927.2015. 1042243. Hillary, F and Sumartojo, S (2014) ‘Empty-Nursery Blue: On atmosphere, meaning and methodology in Melbourne street art’, Public Art Dialogue 4(2): 201-220. DOI: 10.1080/21502552.2014.936686. Sumartojo, S (2014), ‘‘Dazzling relief’: Floodlighting and national affective atmospheres on VE Day 1945’, Journal of Historical Geography 45: 59-69. DOI: 10.1016/j.jhg.2014.05.032. Prosser, B, Greig, A and Sumartojo, S (2014) ‘Introducing the complete case study into an Australian undergraduate sociology major’, Enhancing Learning in the Social Sciences. DOI: 10.11120/elss.2014.00034. Sumartojo, S (2013) ‘A great place to raise (Australian) kids’ in Headon, D and MacKenzie, A (eds) Canberra Red: Stories from the Bush Capital. Sydney: Allen and Unwin. ISBN 978-1-74331-5-835. Sumartojo, S (2012) ‘The Fourth Plinth: creating and contesting national identity in Trafalgar Square, 2005-2010’, cultural geographies. http://cgj.sagepub.com/content/early/2012/09/04/ 1474474012448304. Sumartojo, S (2012) ‘Using the city: place, practice and urban sustainability’. Proceedings of the 10th International Urban Planning and Environment Symposium, 24-27 July, Sydney. http://static.icms.com.au/upe10/ proceedings.pdf. Sumartojo, S (2010) ‘Britain on the Plinth: Trafalgar Square’s Fourth Plinth and British national identity, 2005-2010’. Velayutham S, Ebert N, Watkins S (eds), TASA 2010 Conference Proceedings: Social Causes, Private Lives. ISBN: 978-0-646-54628-5. Sumartojo, S (2009) ‘Britishness in Trafalgar Square: Urban place and the construction of national identity’, Studies in Ethnicity and Nationalism 9(3): 410-428.